Sharon is a licensed Social Worker. She earned her B.S. 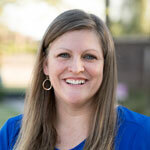 from Utah State University and her Masters in Social Work from Arizona State University. Sharon has worked in the behavioral sciences field for more than eighteen years. She began her career as a probation officer for Maricopa County working with and counseling juvenile offenders. Sharon quickly discovered how much she enjoyed working with teens and watching their progress. Thereafter, she began successfully counseling birth mothers and adoptive couples for L.D.S. Family Services. At A Family Works Counseling, Sharon enjoys working with her clients, especially teens, children (and their parents.) Regardless of age, her clients feel a connection, and her passion towards helping others. She proactively helps them to establish behavioral boundaries, change behaviors and cultivate new approaches to their difficulties. She is a strong advocate for victims of abuse and strives to create positive growth through the healing process. Sharon is earnest, energetic and versatile. Sharon loves life especially when spending time with her two children, extended family and traveling.